Join the gang for another fun-packed weekend in the heart of Colorado. We'll stay at the luxurious Cardinal's Nest vacation home in Nathrop, as we explore some of the many exciting adventures to be had in the Arkansas River Valley. June's a great time for bikes, rafts, and boots as trails are dry, skies warm, and rivers fast! We'll plan on hitting the whitewater rapids that Friday with our friends from Wilderness Aware Rafting. Cost for three nights of lodging and some meals will range from $270 to $350/person depending on bedding arrangement. 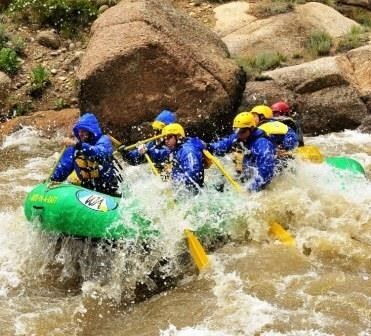 Whitewater rafting down the Narrows and Browns Canyon costs $113.03 extra. This event was added on 3/12/2017 by an RMBB member and was last updated on 1/3/2019 by an RMBB member.